In october 2010, the film was released on Blu-ray for the first time ever. Mann did also conduct some almost unnoticeable changes to Heat for its Blu-release but that’s no comparison to his work on The Last Mohican. Here, he made way more changes with more impact on the film. After all these years, Mann sat down in the editing room once more and did the third cut of his film. This Director’s Definitive Cut (to which I will refer as DDC from now on) is clearly more rooted in the theatrical cut (TC) and can be described as a mixture between the TC and the old DC. Here are many differences that do also exist between the TC and the old Director’s Cut. The DDC mostly restores changes back to the way they were in the TC or keeps the extensions Mann made for the normal DC. This leads up to a runtime which is only approximately 2 minutes shorter than the old DC. The DDC-exclusive changes aren’t of much importance and do not have a major impact on the film since they mostly include inserted shots or other minor bits and pieces. In order to clarify the changes and differences which come along with the new DDC, a red marking was used. Due to the fact that some changes brought to us by the old DC are removed again, it is considerably difficult to judge if fans of the film do actually need the new version. If you want to view the whole spectrum of Mann’s changes, it surely wouldn’t be wrong to view the TC and the old Director’s Cut. The DDC is a mixture which is both praised and criticized by fans of the film since some popular scenes are back in and others are (still) missing. 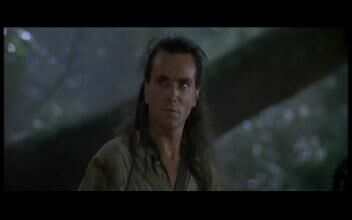 As an example, one could name the extensions in the battle scenes or the prolonged speech at the end. 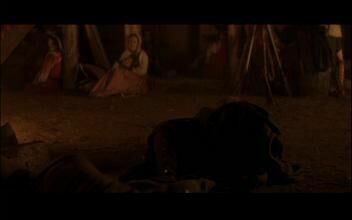 Once again, Michael Mann took them out just like in the TC. 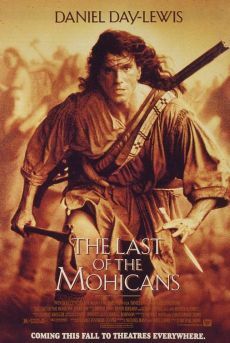 This is one of the reasons that there will be controversial discussions whether the DDC does embody the perfect balance between the two previous versions of The Last of the Mohicans. Still, it’ll be inevitable that the new DDC will find its owners since it is the only version the Blu-ray includes. The Director’s Definitive Cut runs 211,28 sec. respectively approx. 3 minutes 32 seconds longer than the Theatrical Cut. 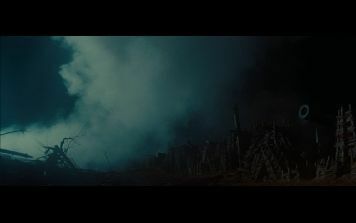 Comparison between the Theatrical Cut (R-Rated) on the German DVD, released by Warner Bros., and the Director’s Definitive Cut on the Blu-ray, released by 20th Century Fox. The time index of the German DVD (TC) is in PAL, the index of the US (DDC) in NTSC. 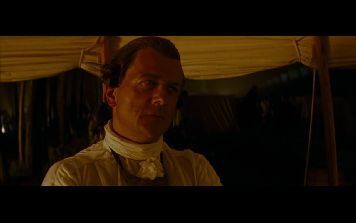 0:06:01: While Jack says that he tries to find people that are willing to join the militia, the DDC shows him in a frontal shot while the TC remains in the side shot. 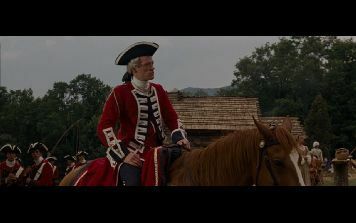 0:06:49: The following scene in which the soldiers tell the people to join the fight, the DDC shows the major sitting on a horse. The shot of the woman carrying the bread is longer in the TC instead, leaving almost no time difference. 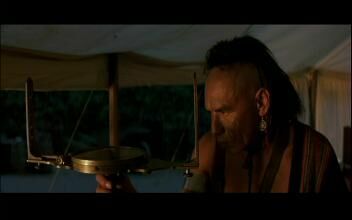 KF: 0:06:48: When the mohawk’s chief talks, the TC shows Jack from a sidewise shot which misses in the DDC. 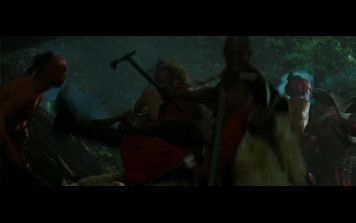 0:09:47: Both cuts have a different beginning of the scene. Obviously, two takes were used. The TC shows how Duncan tells a soldier to help his men unload the baggage. 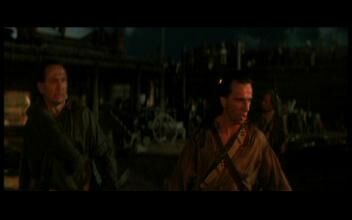 The camera pans to Jack, who threatens that his men will not join the battle if they’re not allowed to defend their villages against the enemies. 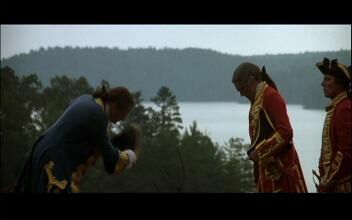 The shot of the other soldier is sidewise, too, before the General starts talking. The DDC begins with a different shot that is focused on Jack while he’s talking. 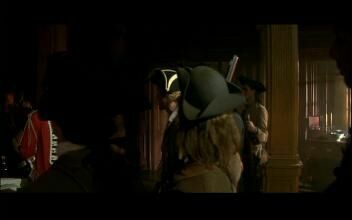 Duncan enters in the background and tells the soldier what to do. Then, there’s the extension that can also be found in the old DC. Still, some words seem to be added at the end of some of the lines. 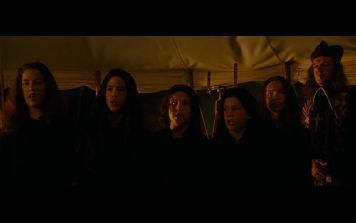 Settler: "Any of the boys worth havin' can disappear in the forest.."
Settler: "And where does that leave you then?" Officer: "Those men will be found, arrested--"
The following comment of the General is a different take in both versions but does not differ in content. 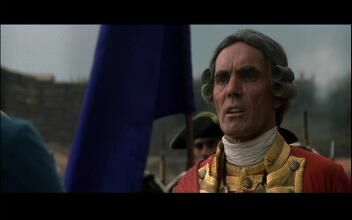 0:12:09: The General comes up with more gossip about the French in the DDC. 0:13:05: When Duncan and Cora sit at the table, the DDC shows two more distanced shots while the TC has one shot behind Cora looking at Duncan. 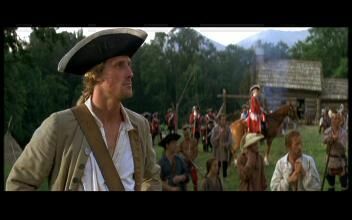 TC: 0:17:54: As the Indians run out of the woods, the DDC misses a short shot of the British troops aiming their muskets at them. 0:19:07: The shot of the fight starts a bit earlier in the DDC. Here, we see another British soldier die. 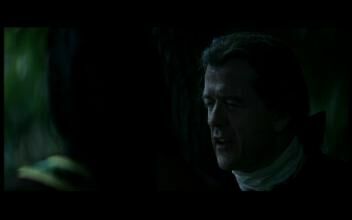 0:20:12: In the TC, Uncas says to Duncan: "Find yourself a musket.". We do not hear that in the DDC, but the scene is the same. TC: 0:20:15: Now, this is very pedantic. The TC shows Hawkeye looking angrily at Duncan and then starting to look more mild and almost mockingly. 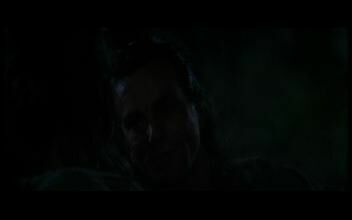 The DDC shortens that shot so that he’s seen grinning only. 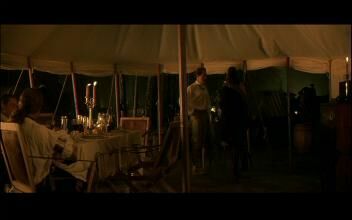 0:21:56: When Hawkeye suggests to Duncan and the women to resume their trip, the TC shows only Duncan looking at the women (being offscreen), the DDC shows Duncan and the women both being in the picture. 0:32:40: When Hawkeye tells Cora about his mother, the camera stays in one position in the TC, while the DDC shows Cora looking at Hawkeye. 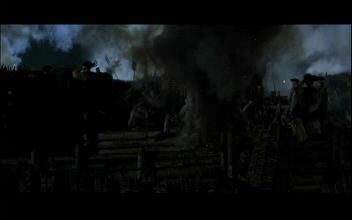 0:35:27: The camera pans along the battlefield a bit earlier in the DDC. 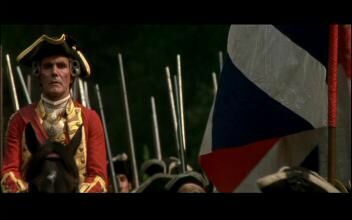 Here, we don’t get to see the soldiers with the stretcher like in the old DC, though. 0:36:07: Sidewise shot of a gun being positioned. This is shorter than in the old DC. 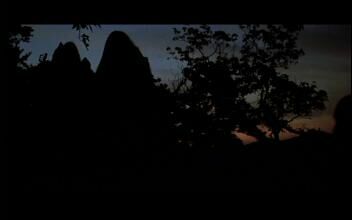 0:36:25: In this scene, the DC and DDC are almost the same but the DDC is shorter nonetheless. 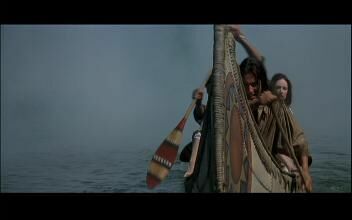 In the TC, a group (including Hawkeye) tries to sneak past the battle in a canoe. That scene appears later in the DC, but not in one take. Details later. 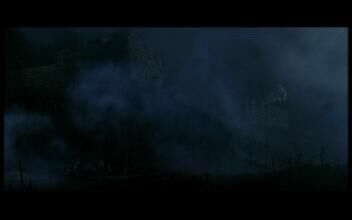 Furthermore the shot of the English fortress is different. 0:37:51: A further shot in the DDC. 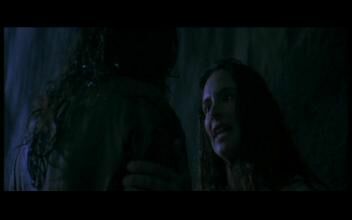 0:37:55: The first part of the scene with the canoe, already shown in the TC, appears here in the DDC. 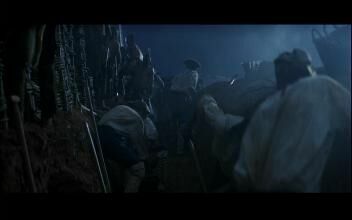 Then a cut to some soldiers, which is in both versions btw, and finally the second part of the canoe scene. 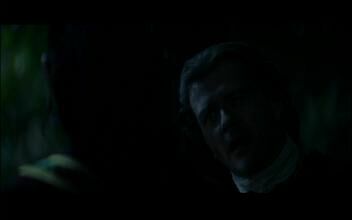 Hawkeye is seen in a different perspective when one guy tells him that he didn’t expect them to show up in the fortress. 0:37:01: Deleted sentence of Hawkeye in the DDC which appears in the TC. 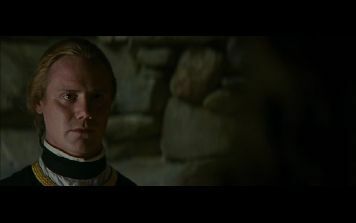 0:42:29: While Hawkeye reports about the attacked village, the DDC shows Col. Munro while the TC remains on Hawkeye. 0:43:36: The DDC shows the children’s choir in a front shot as well. 0:43:49: This difference is almost identical to the change in the old DC, except that Montcalm says one more line here. 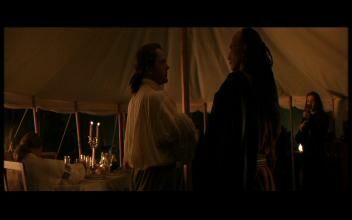 DDC: Montcalm and an Indian stand in the tent. 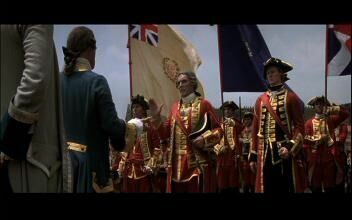 Montcalm says more in the DDC and the following shot is different. 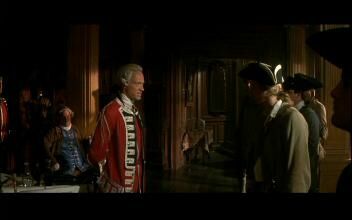 After that, Montcalm says in the TC: "I will give you three oxen for a feast.". This is missing in the DDC. 0:45:27: A completely new line that doesn’t exist in the other versions. 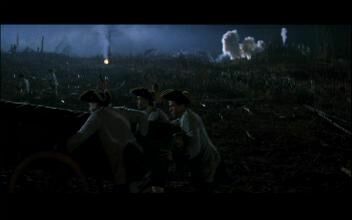 Montcalm adds: "My engineers are advancing the trench through the night. You may have your opportunity soon." TC: 0:50:18: The shot of Jack exiting the house is longer in the TC. Here, you see that the British soldiers patrol through the fort. In the DDC, he already leaves the house. 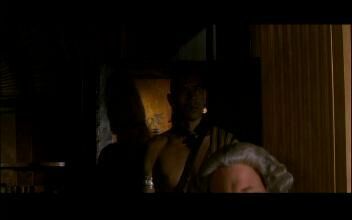 0:54:28: Hawkeye leaves the house, too. 0:59:35: As Cora tells Duncan that she’s not very fond of him, the TC stays on her, while the DDC shows Duncan listening to her with a serious face. 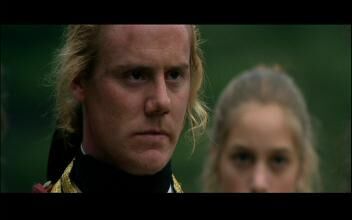 1:03:16: Col. Munro’s march is longer in the DDC. 1:03:56: A different perspective as Montcalm bows down in front of Munro that also runs a little bit longer. 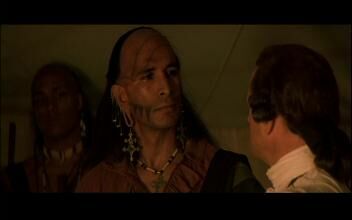 1:09:57: The TC shows Magua turning his head before talking. This was shortened in the DDC. 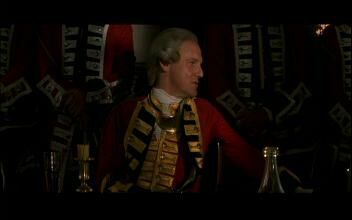 TC: 1:04:45: As Magua asks if the British keep their word, Montcalm says more in the TC. 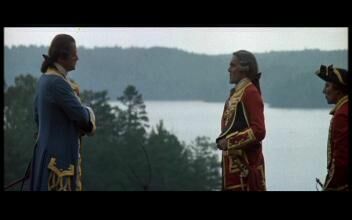 Montcalm: "Col. Munro would. 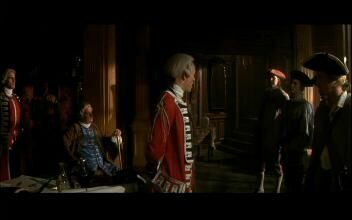 But General Webb will not honour their agreement and send their soldiers away." 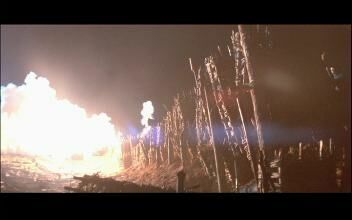 TC: 1:07:11: An irrelevant shot of the convoy from Hawkeye’s POV was deleted in the DDC. 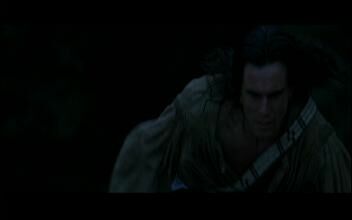 1:13:07: The Huron Indian is seen earlier in the DDC as he runs towards the British convoy. 1:14:21: And again a scene begins some frames earlier. 1:20:08: The DDC features Cora’s first line that misses in the old DC but the second one was shortened but does miss here, too. Cora: "[...] only one of us survives, something of the other does, too." 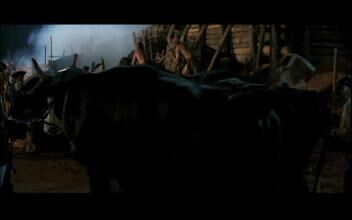 1:31:30: A more distanced shot of the villagers going to the center of the village is seen earlier in the DDC. It is identical in both versions, though. 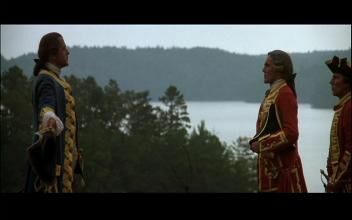 1:31:44: As the Huron chief is guided to his seat, the DDC shows this shot completely while the TC changes to a perspective where the women guiding him are seen. 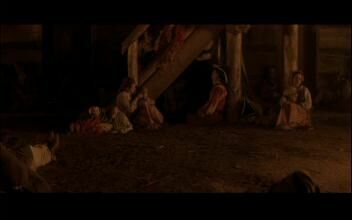 1:32:24: At the position, where the TC features the scene with the villagers, the DDC has a later shot where only some people go slowly to the centre of the village. 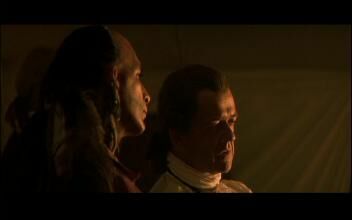 1:34:08: As Hawkeye talks to the chief, the DDC shows the chief, while the TC remains on Hawkeye. 1:34:26: Again, but the other way around this time. 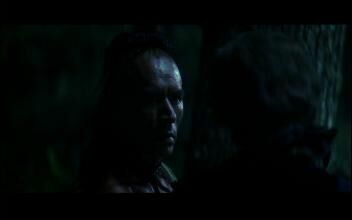 Hawkeye continues talking, the TC shows the chief, the DDC remains on Hawkeye. "The white man came and night entered our future with him. 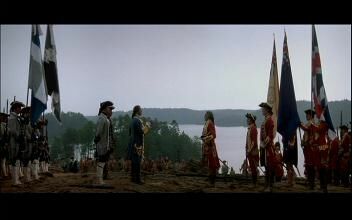 Our council has asked the question since I was a boy: What are the Huron to do?" 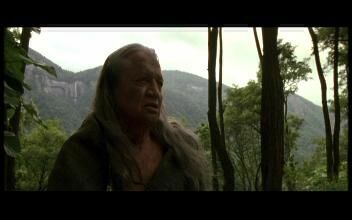 1:29:46: As the chief interrupts Magua, only the TC shows a short shot of him.